Neeru Chadha is the first Indian woman to be elected judge on the International Tribunal for the Law of the Sea. 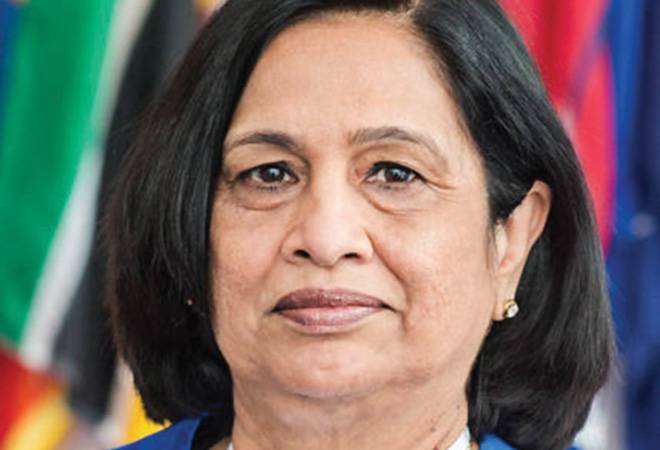 When Neeru Chadha was elected to the International Tribunal for the Law of the Sea (ITLOS) last year, she became only the second woman to be appointed as a judge. Hamburg-based ITLOS is an independent judicial body under the United Nations Convention on the Law of the Sea and deals with all international disputes in this space. Chadha, a lawyer of repute in the field of international arbitration and dispute, won the election in the first round itself with 120 votes, the highest in the Asia-Pacific group, thus proving her worth. Chadha has been elected to the tribunal for a term of nine years, from 2017 to 2026. After getting her Law degrees from Delhi University and the University of Michigan, Chadha worked with the Ministry of External Affairs for 14 years in various capacities. She was appointed Chief Legal Advisor to the ministry in 2012, again a first for a woman. She had represented the country in a number of important international disputes and arbitrations in that role. She also presented India's Third Periodic Report on the implementation of International Covenant on Civil and Political Rights in Geneva in 1997, attended 37th-42nd AALCO (Asian African Legal Consultative Organisation) annual sessions and represented the country in the UN General Assembly Sessions during 2006-2009 and 2011-2014. Chadha was part of a special working group on the Crime of Aggression at the International Criminal Court. She was the Agent for India in the negotiations related to Cessation of Nuclear Arms Race and Nuclear Disarmament at the International Court of Justice, a member of the Finance Committee at the International Seabed Authority and a member of the governing board of SAARC Arbitration Council.